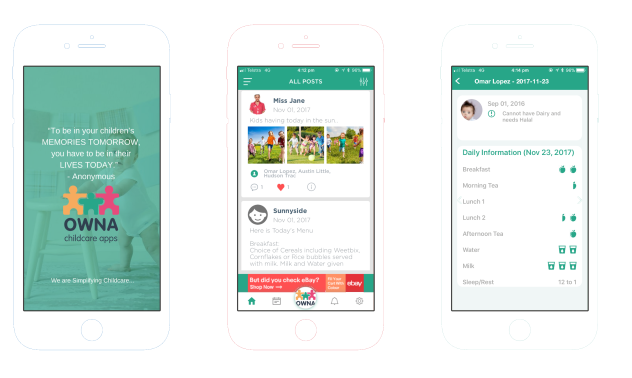 Get Your Free OWNA Childcare App Now! 1. Fill in your Centre's details adjacent and we will get you up and running in the space of a few minutes. 2. We don't just give anyone access to the App. We will verify that you are a Centre, FDC, Caregiver etc etc before allowing access. So expect a call or email. 3. Once verified we will send you your login details and instructions with what to do next. Too easy! Note: If this form is filled out outside of business hours you might not get a reply until the following day. So sit tight! We always respond, but if you don't hear from us in the space of 12 hours - check your spam/junk folder as our email response can sometimes get caught in there. If you are a Parent/Guardian wanting access to the OWNA App. DON'T fill this form in. Please see your Centre for access. What's Included in my FREE App? Safe & Secure Platform. Data stored locally. Adhere to industry standards.